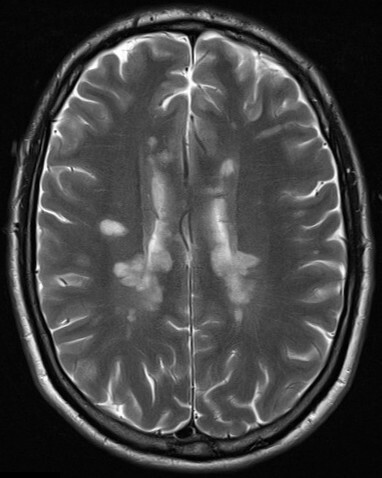 32yo M presented with several days of worsening numbness and weakness of his R leg. 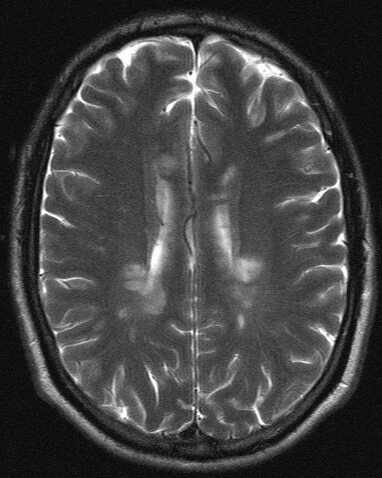 1a, 1b: Initial MRI sequence demonstrates multiple periventricular and pericallosal hyperintense lesions. Images shown are T2 weighted turbo spin echo MRI images. 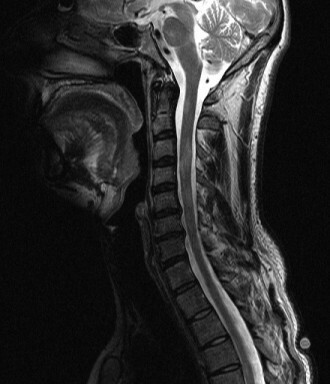 1c: There are also multiple hyperintense lesions in his spinal cord. These satisfy the criteria for dissemination in space. 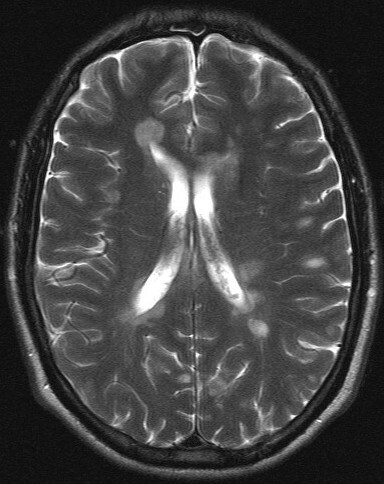 2a, 2b, 2c: Follow-up MRI scan of same patient performed 3 months after initial MRI. 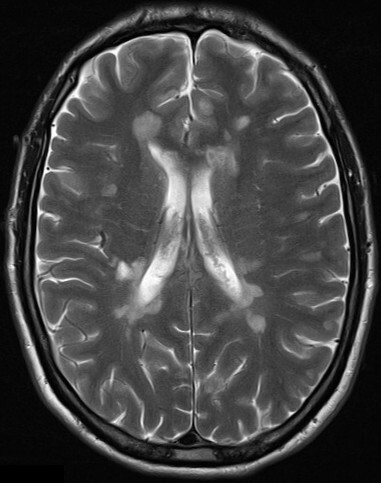 There are multiple new white matter supratentorial lesions demonstrated, predominantly within the right posterior and left temporal lobes, as well as a new spinal cord lesion at the level of C7. These satisfy the criteria for dissemination in time. Additionally, the patient also had oligoclonal bands in his CSF. 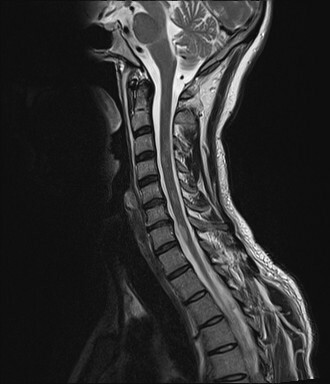 2 or more 2 or more None (however, MRI imaging is recommended). Await second clinical attack implicating a different site.